Lock in a great price for Dar Rabha – rated 8.5 by recent guests! It's a really nice place to stay. Close to center and restaurants. Staff ware very friendly and helpful. Lovely hostel. We went there as just two friends and left with an entire group of friends. Lovely place with a great rooftop. Great breakfast aswell. Very calm and cosy. Maybe two minutes walk from where the taxis drops you. There are plenty of cafes and restaurants right around the corner and the souq is right there as well. Rooms were big enough and didn't feel crowded. 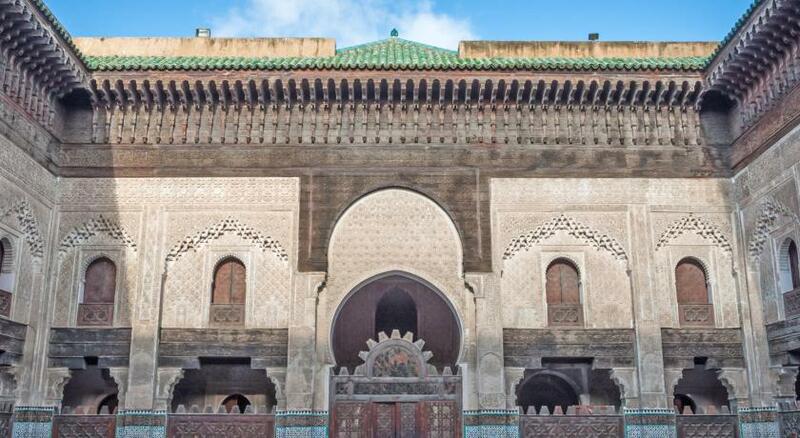 Located 2 minutes from the Bab Boujeloud. A/c in the room was quite nice. Everything. The staff is very helpful and we had a pleasant chat. It's so clean and well designed! The location is perfect for everything just near by. The hot water is best hostel in Morocco! The bed is very soft though a lot but shakily but it's fine. Good Terence with amazing view in top. Breakfast was very nice and the employees were helpful in giving recommendations and answering questions. I didn't expect to have breakfast for this price but the breakfast was included and was really good. The staffs were very friendly and helpful. Also liked the hot shower!! Rooms at Dar Rabha will provide guests with air conditioning. Private bathrooms also come with a shower. 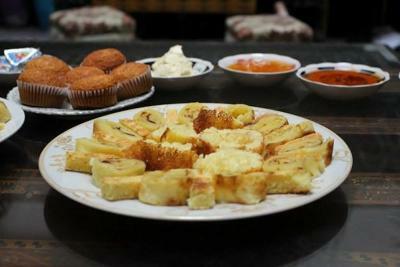 Moroccan breakfast is served each morning at Dar Rabha. Guests can enjoy local dishes at the onsite restaurant. At Dar Rabha guests will find a 24-hour front desk and a terrace. Other facilities offered include a tour desk and a laundry. For a fee, public parking is possible at a location nearby. Saïss Airport is 11 mi away. An airport shuttle can be arranged at Dar Rabha. 뀐 Located in the top-rated area in Fez, this property has an excellent location score of 9.3! When would you like to stay at Dar Rabha? This room features air conditioning. It offers a private bathroom fitted with shower. This room features air conditioning. It gives access to shared bathroom facilities with shower. This family room features a kitchen, air conditioning and electric kettle. House Rules Dar Rabha takes special requests – add in the next step! The Dar in incredible, once you open the door you are amazed by the decor of it and the staff is super hospitalary, Abdul was the sweetest, he was attentive and so helpful! We were offered tea whenever we came back and the breakfast was delicious! Thank you for everything! 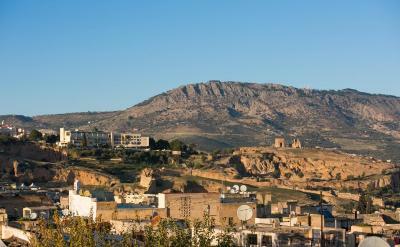 No doubt we will come back here next time we are in Fes! They are so kind people who help in every stage of our trip. The location was perfect to reach with a taxi or any car because there is a limit that they can access. They also provide the airport service that is useful to take otherwise we cannot find the hostel due to narrow streets where hostel located. The room was nice and clean as well as the rooftop. The room had no window (only tiny one at the ceiling). It was quite damp and it was impossible to get some fresh air into the room (because of the missing window). Very good location, close to the Blue gate and in walking distance to the bus terminal. Room was always clean. AC/Heating was working fine. The beds were OK. Very nice bathroom. The water leaked in the bathroom. The bathroom got wet everywhere after shower. The three bedroom dorm was spacious and clean with a nice bathroom and 24h hot water. The air condition was great as it was quiet cold at nightThe stuff was really friendly and helpful. We enjoyed our time here. The host is loud, and our room was located right next to reception. Not a good idea. Location. Breakfast is excellent. Service is good.